Banker Lopez Gassler is pleased to announce that Jeffrey M. Bell and Douglas B. Melamed have joined the firm's Ft. Lauderdale office. Jeffrey M. Bell was born in Buffalo, N.Y. After receiving a Bachelor’s Degree in political science from Colgate University in 1977, he worked for a few years in the steel industry in Chicago and Detroit. Jeff then earned his law degree from Nova Southeastern University in 1983, where he served on the Law Review and Moot Court Society. In over 30 years of practice in South Florida, Jeff has successfully represented a wide range of clients in commercial, product liability, insurance defense, medical and professional malpractice, construction defect, land use and general liability cases. Jeff has first chaired numerous jury cases to verdict and also has maintained an active appellate practice throughout his career. Jeff is admitted to the Florida Bar; the United States District Courts for the Southern and Middle Districts of Florida; and the United States Eleventh Circuit Court of Appeals. 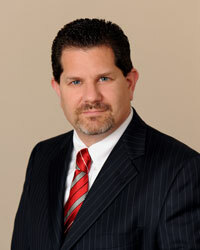 He is also a member of the Miami Dade and Broward County Bar Association and the Defense Research Institute. Douglas Melamed was born in Suffern, New York and raised in upstate New York. After graduating from the State University of New York at Binghamton with a degree comprised of studies in political science, history and philosophy, Douglas moved to South Florida where he obtained a Master’s Degree in Education and Sports Management from the University of Miami. 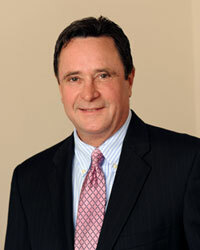 Douglas spent several years working with the University of Miami Athletics Department before earning his law degree from Miami in 1998, where he received Litigation Skills Honors and was a member of the trial team that participated in national competitions. In over 15 years of practice, Douglas has focused his practice in the field of civil litigation defense, including products liability, premises liability, construction litigation, liquor liability, wrongful death claims, medical malpractice, and admiralty/maritime claims. 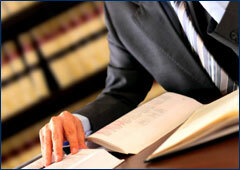 His practice also includes commercial litigation, collections, and coverage analysis for insurance companies. He has successfully represented a diverse group of clientele including child care centers, taverns/bars, roofers, general contractors, fire sprinkler companies, health care institutions, commercial plazas, security companies, product manufacturers, and insurers. Douglas is admitted to the Florida Bar, the U.S. District Court for the Northern, Southern, and Middle Districts of Florida; U.S. Court of Appeals, Eleventh Circuit, and is a member of the Defense Research Institute and the Broward County Bar Association. Douglas has been awarded an AV Preeminent rating by Martindale-Hubbell.